The toughening stance of government around the roll-out of ‘hostile environment’ policies is generating stiff resistance from migrant support networks who are fighting against the increased risk that people are being deprived of opportunities to work, rent accommodation, enrol children at school, and obtain healthcare from the NHS. Legal challenges against these practices are being mounted by campaigning groups. The Joint Council for the Welfare of Immigrants is arguing that that the requirement on the part of prospective tenants to show that they have a ‘right to rent’ before a landlord can let a property to the is producing discrimination. Evidence gather by the Council has shown that landlords and letting agents have a very poor understanding of the ways in which immigration control is supposed to work and they frequently assume people from ethnic minorities and non-British nationalities pose a risk of being judged to be unlawfully resident in the UK, even when provided with passports and other papers which show the contrary. The ‘Against Borders for Children’ (ABC) has been fighting against a Department of Education policy which has been in operation since September 2016 which aims to collect nationality and country of birth information on 8 million young people in UK schools and to share this information with the Home Office. ABC has shown that this information was not going to be used for educational purposes The information is not being collected for educational purposes, but as part of a Home Office plan which would have seen the children of undocumented migrants ‘deprioritised’ for school places. Nationality and country of birth information was going to be handed over to the Home Office as part of a broader data-sharing scheme to track down undocumented children and families through school records. The public outcry in response to the revelations made by the ABC campaigners has to dated prevented this harsh version of the policy being brought into force but they remained concerned that, with the information now being gathered and stored by the DfE it could still be shared at some point in the future. A third campaign against intrusive surveillance of migrant communities resident in the UK has been launched by the Migrants Rights Network (MRN). This is aiming to challenge a Home Office and NHS Digital memorandum of understanding which would allowing the Home Office to obtain confidential patient information via the NHS for immigration enforcement purposes. MRN are arguing that this sharing of information gathered for the purpose of the provision of healthcare is not ethical or legal. It violates patient confidentiality and puts vulnerable migrants at risk because they will be deterred from accessing healthcare if they believe that this will open them to the risk of immigration enforcement action. MRN is currently raising money for a legal challenge to the memorandum and has raised £10,000 for this purpose, with considerable backing from clinicians and other NHS staff who do not want to associate their role as healthcare professionals with immigration control practices. 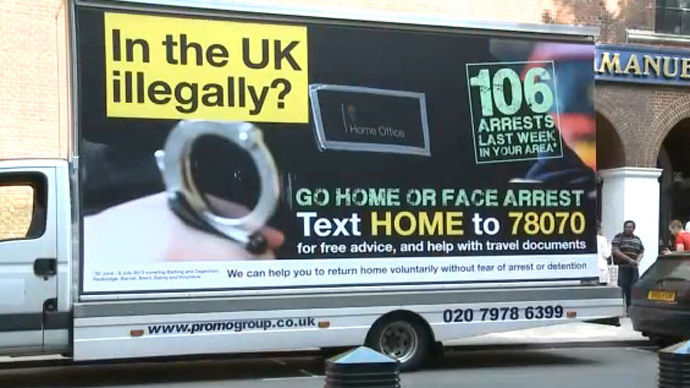 The backing being given to these campaigns shows that resistance to the hostile environment which government is seeking to create for migrants is mounting. The groups involved would welcome more support from political parties which are similarly committed to supporting the rights of migrants and would welcome messages of support and solidarity from Labour Parties across the country and their affiliated unions and associations. To support the campaign against the ‘Right to Rent’ test for rented accommodation, contact the Joint Council for the Welfare of Immigrants at www.jcwi.org.uk. Contact details for Against Borders for Children can be found at https://www.schoolsabc.net/.